The North Channel Shooting Club was organized on our Island in 1869. In those days, the area was extremely remote. St. John’s Marsh isolated Pearl Beach and Algonac from Fair Haven. Sportsmen arrived in the area by inter-urban railroad, private boat and ferry. There was passenger service by steamer from Mt. 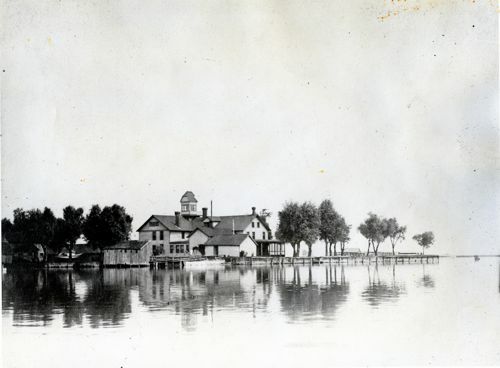 Clemens to Pearl Beach and Algonac, mainland communities located near the Island. In such a remote location, the hunting and fishing was obviously exceptional. The old register for the original Club shows some fantastic game counts. A great many prominent names also signed that register, including Teddy Roosevelt. 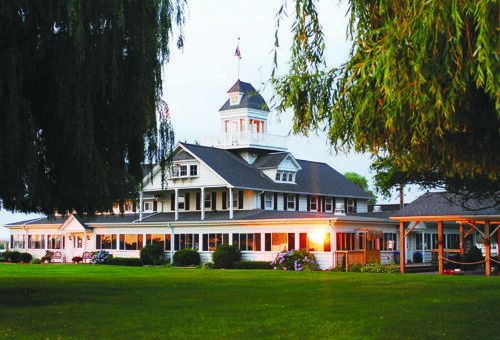 Over the years, the Clubhouse partially burned and was rebuilt; the Island changed hands a couple of times and the property served as a hotel for a period in the 1940’s. 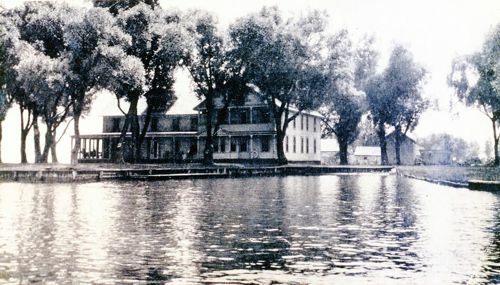 In 1968, the Chrysler Yacht Club, composed of members of that Company’s management team, purchased the island and an adjacent mainland property to serve as a parking lot. At that time, the building was an empty shell and the Island had largely eroded away. As time past, the group began taking in non-Chrysler members to help support a sizeable mortgage and the considerable task of rebuilding the Clubhouse and installing sea walls. By 1981, as the composition of the membership continued to shift, the name was changed to the North Channel Yacht Club. We think those founding sportsmen would be dazzled by the well-maintained Clubhouse, grounds and harbor plus our ‘city’ water imported from the mainland.